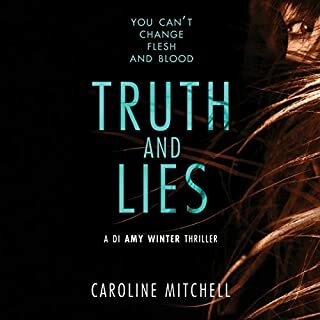 Full of twists and turns, this is a crime thriller that will keep you gripped until the shocking ending. Struggled to finish. Only saving grace was Richard Armitage, otherwise I would have stopped listening in the beginning. Excellent story and great narration. Surprisingly good! My wife and I listened to this book as we drove for 13 hours along the Australian coastline. It had us riveted and entertained the whole way. Great characters, fabulous narration and a spicy plot line. Highly recommended. 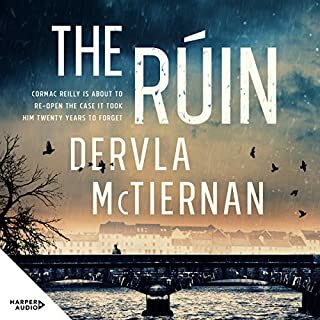 Like the first book in the series, couldn't stop listening to it! Richard Armitage makes for very engaging and easy listening. 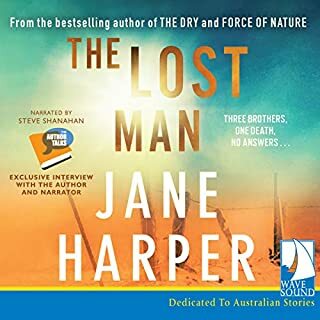 I am loving this series, Jackman and Maria just keep me glued to my phone when I drive to work. It also helps that Richard Armitage does a brilliant job narrating these books. I’m loving Joy Ellis’s Jackman and Evans series. The plots are believable but fresh and unusual. Also, of course, the incomparable Richard Armitage is reason enough to purchase any audiobook. Richard Armitage great... story not so! 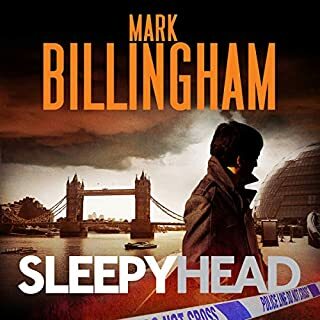 Story a bit predictable - not the best I have listened to, as with other reviews I only continued listening because of Richard Armitage. What a great listen. I have thoroughly enjoyed this book now that the end has arrived. Until then I was a nervous wreck as the detectives attempted to solve the mystery of who done it! I am always very grateful to clever people who have the gift of writing. An excellent story about a police department trying to solve a serial murder case while dealing with several fragile suspects. There are several subplots which add a great deal to the story. One of the subplots would actually make a pretty good plot for another story. 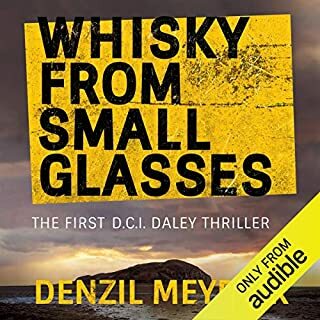 The two major characters are both both very easy to develop a bond with which makes the story more interesting.This book is definitely worth reading. Audible totally messed this up. They recommended listening out of order, and it totally ruins the suspense, not to mention the evolution of the character's development and relationships. 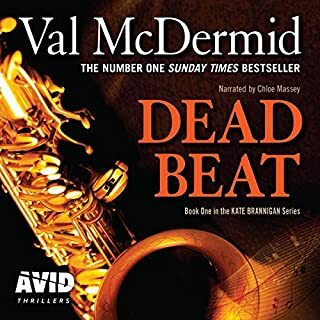 That said, I still really enjoyed it-- the characters are well written and even though I had the end figured out from the beginning because there is mention of the result in the 2nd book, I was still well entertained, but spent a lot of time wondering why in the world they published these out of order only to go back and discover they did not--Audible actually is the one who recommended listening out of order and for what reason I cannot fathom. It will have ruined it for many, so I sincerely hope they fix that issue ASAP. This is another fantastic offering by Joy Ellis. It is a believable story with characters you grow to be so intimately involved with that you talk back to them while listening. I was constantly asking myself what would I do in the myriad situations presented in the plot. Would I have acted as Skye did? Would I have made the choices Daniel did? Where are the dark places in my mind capable of leading me? Then, of course, there are the choices faced by Jackman and Evans. How far to you trust your mind rather than follow your gut? The main plot is paralleled by the tale of a bent copper and a young cop trying to survive. This tale is deftly woven into to the main story to great effect. 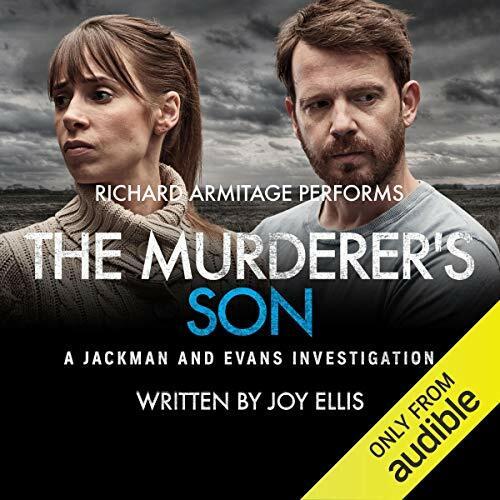 Richard Armitage's narration grabs you and carries your through the harrowing tale with a vast range of emotion from shock, horror and disgust to heartrending compassion. His voice weaves his usual magic as he carries you deep into the hearts and minds of the characters. Congratulations to both Ms. Ellis and Mr. Armitage for another stellar project. I look forward to December and installment 3 of Jackman and Evans. Audible ruined this one for me. 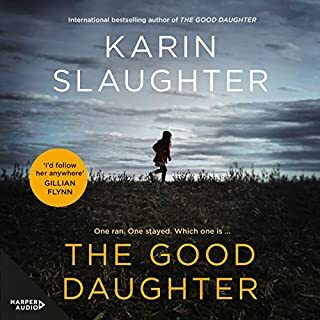 I followed the "recommended listening order" suggested by Audible to listen to Their Lost Daughters first despite it being the second book in the Jackman and Evans series. Because of dialog between Jackman and Evans the story line of The Murder's Son was ruined !! Shame on the editorial staff for such a blunder!! Glad I found this series! 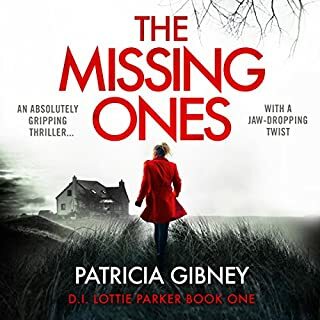 I have a tendency to prefer the British murder mysteries because they seem to have more character development and fewer car chases - definitely fewer gun battles - but it’s a challenge to find some new characters that rise above the rest. Jackman and Evans are a great team and I’m happy to have discovered them. The mysteries are challenging but the characters are ones I’m enjoying getting to know. I’ve listened to 2 books in the series and will definitely listen to the rest. The narrator is fantastic. 5 stars if you like good police murder mysteries! What a spectacular audiobook. Ellis is one of the best crime novelists today. 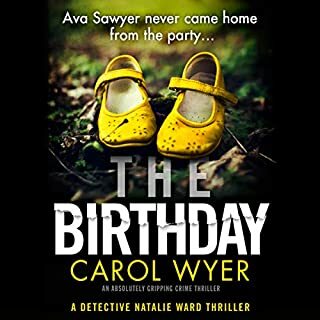 Her attention to detail, authenticity, keen development of characters, wrapped in suspense and intrigue keeps you on your toes and a "book" you "just can't put down". I binged the entire audiobook in one sitting. Armitage is narrator supreme. He makes you feel like you are literally standing there in each scene experiencing everything first hand through the eyes of each of Ellis' characters. This is more than a five star audiobook. Plan to listen to this one all day! You will not want to stop to make dinner. I love the writing, the narration (stellar! 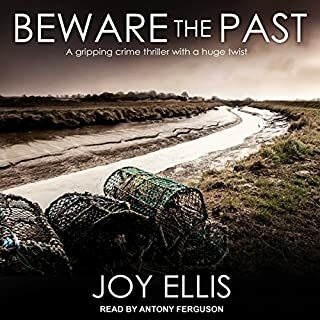 ), the characters, & the relationships developed in this, the 2nd Joy Ellis (Jackman & Evans) book to which I have listened on Audible. 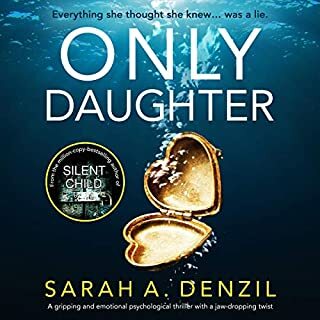 It was only marginally (I wish I could give it 4.5 stars) less accomplished than “Their Lost Daughters”, which was a somewhat more intriguingly complex story. But this book did its job — my newfound addiction to this Ellis series continues, alive & well. Going after next book right now! Richard Armitage again performs -- rather than merely reads -- a good thriller. He makes it pop! My first book by Joy Ellis. I sincerely enjoyed it and I’ve already bought another. Jackman and Evans were two characters that I took to straight away in the first book that Audible published and I am starting to think that my relationship with them is going to go the distance. It's worth noting that they won't be for everyone, if you're looking for another Rebus or Frost with all their crafty ways and fractured personas Jackman seems to be cut from a more noble cloth so far. In fact to me in a way there's a genuine warmth to these books despite the grisly crimes that they are set around which shines from the characters. Of course it also has to be said that Richard Armitage's voice also radiates that warmth with his golden sunset tones and excellent character voicing. 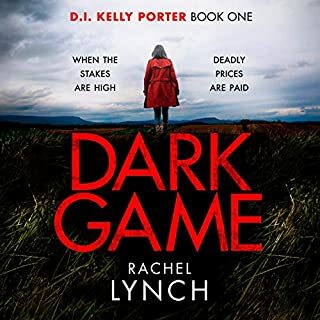 The story itself is immediately engaging and twists and turns leaving me guessing without groaning in exasperation at the ridiculousness of it all which has happened a few times recently. 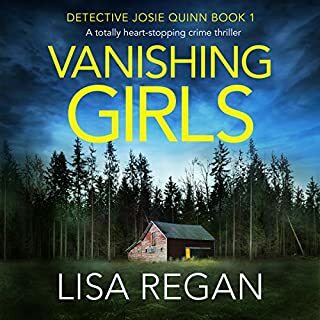 Ellis has a bright approach to her writing which moves the story on at a very enjoyable pace while allowing her characters to grow depth and colour. There are some things in here that aren't perfect, I think you can see Ellis's writing style developed after this book which I believe was originally the first in the series. 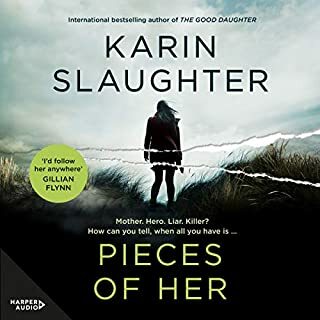 The police procedural aspects are, despite her having a partner who used to be in the forces a bit weak and in my copy a couple of sentences were oddly repeated in obvious editing errors. But I'm not going to sit on the fens about it, this is a damn good read that I'd highly recommend! Great storyline, fantastic characters, brilliantly written, and the talented Richard Armitage narrating 💖💖💖 Truly Amazing. Loved the book and the narration. I did guess the perp fairly early on and was waiting for the reveal. My only criticism however concerns the gaps between scenes. This is a very professional production but the gaps are a little hit and miss or in a couple of cases none existent. This caused a couple of confusingly moments as I realised the scene had changed. A simple couple of seconds break would have worked. The story it's self was a let down after the previous story in the collection. The narrator regularly repeats lines and made me feel like I was going a bit potty. It also kept skipping. Overall not enjoyable and certainly not worth a credit. I really enjoyed it. However it never really “took off” and was somewhat predictable. Great characters and I will certainly listen to the series to see where they go. 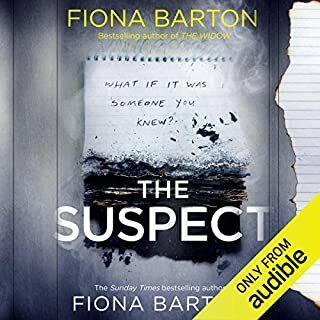 I felt that this tale was a bit 'daft', the opening chapter sets the scene for the older murder, the DI and his sidekick go in to where the mutilated body lies, and in the first couple of minutes the DI says - "It is either the au pair or the handyman, I'll stake my pension on it". As he had no knowledge of either of these two characters I felt that it was a particularly stupid comment to make. He also asked whether the two (so far unknown to him) employees were having an affair! He didn't know who they were, married or single etc etc. It just seemed so silly that I was put into an irritated mode straightaway. There are many similar silly situations, and I really didn't enjoy this very much at all. All in all it was a bit of a messy, haphazard story. Very disappointing. 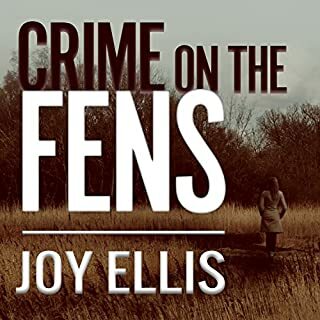 Another great mystery from Joy Ellis. I love Jackman and Evans and the team. I eagerly anticipate the next book. Once again, Richard Armitage proves what a brilliant choice he is. He brings the characters to life so skilfully. loving these new police characters, they are real with true humanity and no cliches. love Richard Armitages' reading, puts life into the words and you need to keep listening until the story is told. 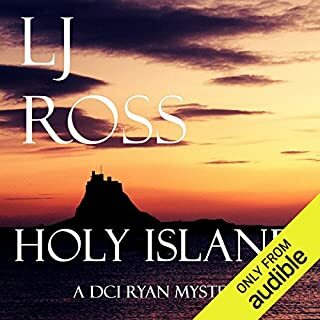 I love RA but I found his narration slightly grating, with some passages badly read. This book fell head long into the annoying trap of seemingly intelligent people behaving strangely to fit the plot, which became farcical. intriguing yet predictible half way through. joy still wrote brilliantly but not her best work.